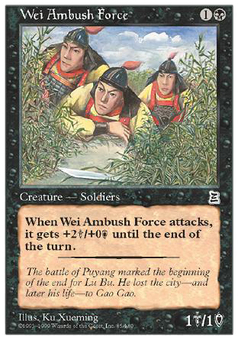 Wei Ambush Force ($0.49) Price History from major stores - Portal Three Kingdoms - MTGPrice.com Values for Ebay, Amazon and hobby stores! 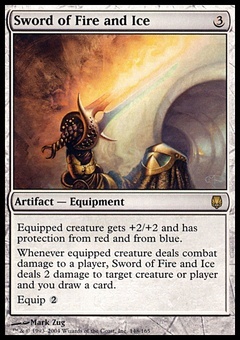 Card Text: Whenever Wei Ambush Force attacks, it gets +2/+0 until end of turn. 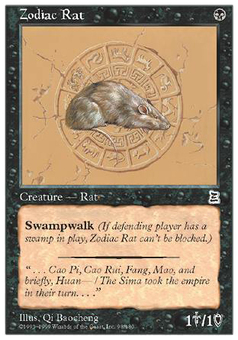 Flavor Text: The battle of Puyang marked the beginning of the end for Lu Bu. He lost the city-and later his life-to Cao Cao.